A year ago today (Thursday 19 February) Alzheimer’s Society launched its award-winning Dementia Friends initiative in Wales. On its first anniversary, the charity is calling on people across the country to join the 8,000 Dementia Friends who have already joined the movement to breakdown the stigma of a condition that affects 45,000 people in Wales. Alzheimer’s Society’s Dementia Friends initiative aims to make everyday life better for people with dementia and is this country’s biggest ever project to change the way the nation thinks, talks and acts when it comes to the condition. In the first year over 8,000 people in Wales have become Dementia Friends whilst a further 308 have taken a further step to become a Dementia Friends Champion. A Dementia Friends Champion runs Friends’ information sessions for people in their personal networks or communities. They do this after participating in the one-day Dementia Friends Champions’ training run by Alzheimer’s Society. ‘People assume that if you’ve got dementia that’s it, that you can’t do anything yourself, and you’re helpless. That’s not true. There’s a lot of bad stigma around dementia and it’s not fair. The more people that understand; the better things will be. 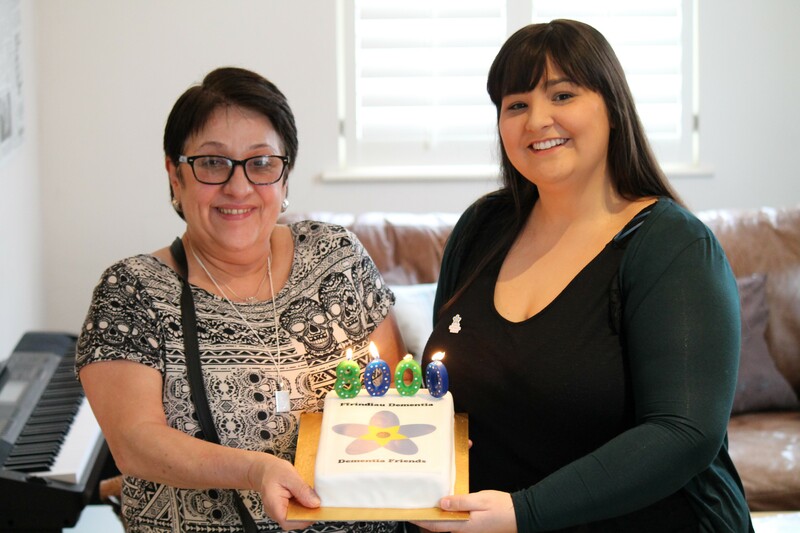 The anniversary of Dementia Friends comes shortly after the team behind the initiative won the Class award for best communications in the 2014 Third Sector Awards Cymru.